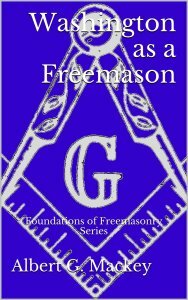 Brother Mackey sets out to dispel the notion that George Washington, the first president of the United States of America, was anything but a Freemason. He provides ample documentary evidence to support what now has become a common claim. But, Mackey goes beyond simply showing us proof that Washington’s masonic initiation took place, he shows us that George was a Mason in his heart. His unwavering beliefs in the tenets of Freemasonry permeated him to his core, making him the man that history remembers him to be.